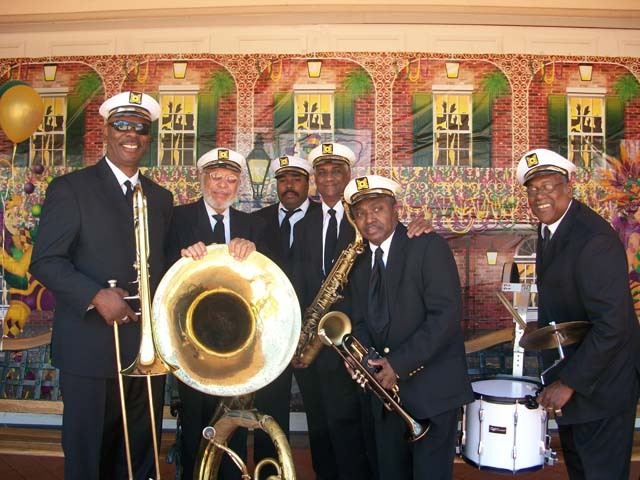 Experience Black History Month and Mardi Gras with musical panache at Union Station! The New Orleans Traditional Jazz Band will perform on Mardi Gras day (Fat Tuesday, February 9) and spice things up for transit riders during rush hour. The six-piece group is based in Los Angeles and includes musicians from New Orleans and beyond. The band will lead an L.A. style Second Line procession through Union Station from 4 p.m. to 6 p.m. beginning in the East Portal and ending in the Historic Ticketing Hall. Shimmy your way through the station to your bus or train! Facebook event page. Later in the month, Dexter Story & Wondem will perform their unique blend of East-African influenced soul, funk, jazz and folk music (Friday, February 26, 4-6 p.m. in the Waiting Room). Both programs appear as part of Metro Art Presents, which showcases free arts and cultural programs at historic Union Station. The diverse, all ages programming is designed to creatively activate the landmark station, engage the Los Angeles community and attract new riders. Union Station is accessible via Metro Rail, Metro Bus and several municipal bus lines. Use the Trip Planner at metro.net for routes and connections. Bicycle parking is also available on site.